I do all the time and I attend lots of them as part of my job. All the booths look the same – 3 x 3-meters, nice open design, small table, a few chairs, small desk at the edge and the obligatory fishbowl for cards. And let’s not forget a very uninspired person sitting at the table staring at their phone. Many of my clients ask themselves this question and wonder why they are still participating in these events. Some really struggle to see the value of these events and wonder what their ROI is. 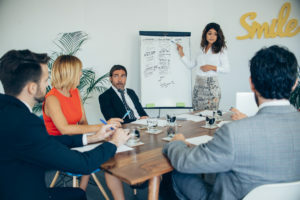 Manufacturers and distributors with a presence at trade shows often face the challenge of determining which trade show solutions they need for success. 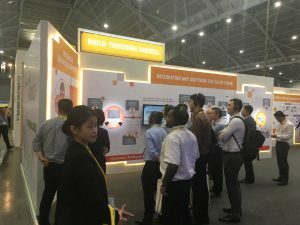 Exhibiting at trade shows is a complicated proposition, one that requires brands to perform a variety of tasks, such as event planning, lead gathering and capture, and closing sales. 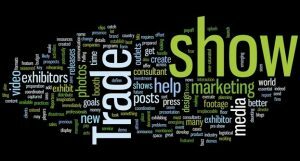 What is a trade show attendee worth to your business? This is an important question to ask yourself before you exhibit at any trade show. Take a minute to imagine how much income a single attendee could generate for your company if they became one of your best customers. What products would they be likely to buy first? How might they expand their assortment to include more of your line in the course of one year? Think also about all the referral business they might generate for you in that year, and all the income those companies represent. Multiply that by the number of years you expect to retain that customer. When added all up, I’d imagine the total expected lifetime value of that customer is sky high. 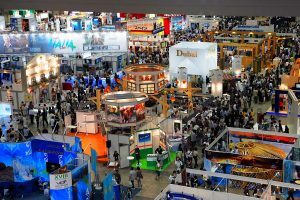 Trade shows basically provide B2B companies an opportunity to get closer to their audience. But the certainty to gain full advantage of these events is virtually nonexistent if you come unprepared.